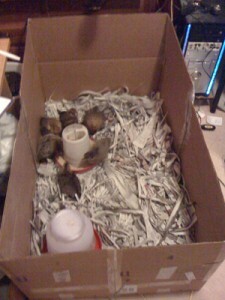 When I got my six baby Araucanas I initially used a small box. Something to keep in mind though is that chickens grow very quickly (a week or two) and I soon had to get a bigger box. I used schredded newspaper for their nesting material. It works but you have to change it out every few days. Initially the small box worked great. As they grew the box very quickly became to small. Eventually I just cut the sides off the boxes and taped them together. 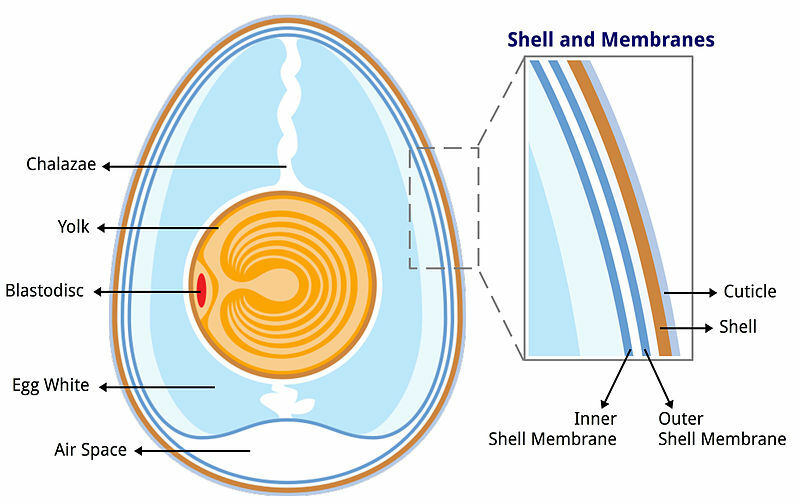 Some things I learned about Baby Chickens. They smell. – When they’re are very young it’s really not bad but the last few weeks are kind of rough. You need to really keep the box cleaned out. They are dusty. – I have no idea why but they give off a large amount of dust. I kept them in my office and that was a mistake. Everything was covered with dust. If at all possible keep them somewhere that you won’t mind getting dusty. They can fly. – Yes that’s right they fly. 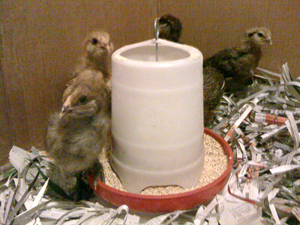 Once their feathers fill in on their wings that will start flying up to the tops of their waterer and feeder. Which then leads to quite a bit of cleaning the droppings off. I covered the box with a storm window and screen from an old screened in front do. That also helped control the dust. 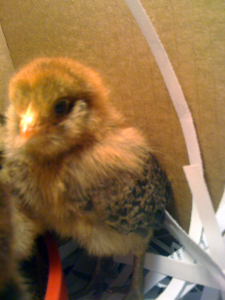 Overall it was really fun to have the chicks. 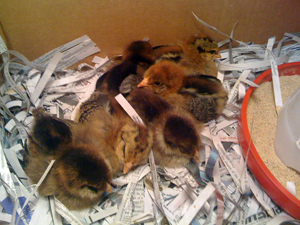 They grew supper fast so you will probably only need to keep them in a brooder box for about 6 weeks. Keep in mind that they will need a heat lamp for the first few weeks. 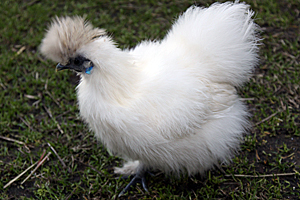 Once their feathers are in they can regulate their temperatures by them self. You know that they are ready to go out side once they are big enough so they won’t slip through the fence and all their feathers are in. 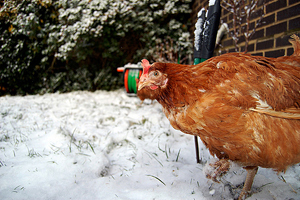 If you have any chicken stories or pictures you’d like to share please let us know.